Can someone please help me identify the engine block on the following pictures? I know it is a pre A engine, but it has no identification tag. might need to see some casting Numbers. and maybe some of the inside for specifics but to me it just looks like a run of the mill 1275 block. Does it have 2 or 4 oil gallery brass plugs, if 4 then a 1275. Also measure the diameter of the cylinders. Lastly if you put a pic up of the crankshaft clutch tail end that will help. - at a glance looks to be a 998. Strip the crank out and measure all the journals. sorry no way a 998. 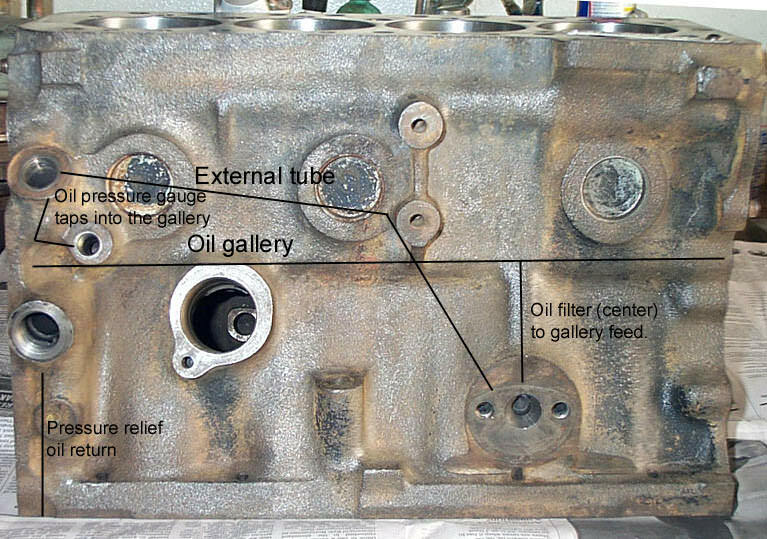 I know it is a 1275, but if you noticed well on the back of the engine it has a hole that leads to channel of the oil picking to the oil pump. Is that normal? It's a 1275 Block, most likely from a 1275GT from approx 1976 to 1979. Hard to tell from just a photo, but does appear to have been bored one or two times. Of all the 1275 blocks, they are my pick. The only 1275 block I've had with that screw in plug in the back of the block near the coolant drain that goes into the oil gallery was from a 1967 austin 1300. Has it got the square casting hole above the centre main bearing? Mine had it. does it have the water drain on the rear? hard to see. may be a thread showing the solid wall 1275 blocks could be a good sticky thread? Doesn't the 1275GT have a 11 stud cylinder head. Another marker would be the coolant welsh plugs on the clutch side of the block - 1275 has two and the 998 has one. nope it does not. and using the 10 studs and a bolt as a marker is poor as they can be added at any time to any engine. I was probably thinking about our South African 1275 GTS which had a 11 stud cylinder head. I think the early GTS did but I'm not sure on the later ones? The other one that had 11 studs is the 1300 GT (ADO16). Yes, it has the water drain as well.